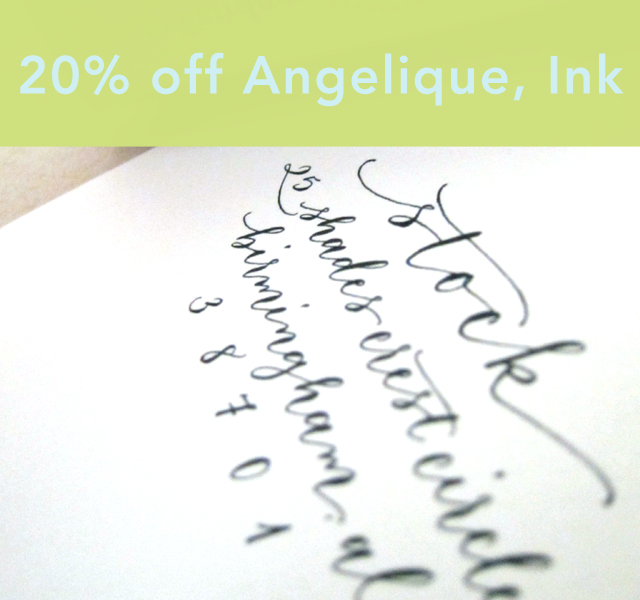 hello lately: Angelique, Ink & Brooklyn Stars Coupon Codes! First of all, I want to say thank you to everyone that participated in Hello Lately's Angelique, Ink giveaway this week! We had 250 entries, and today I'm pleased to announce our winner: Brian Lucas! For everyone else, I have good news! Angi is graciously giving Hello Lately readers a discount on the customized calligraphy stamps on her website and Etsy shop. 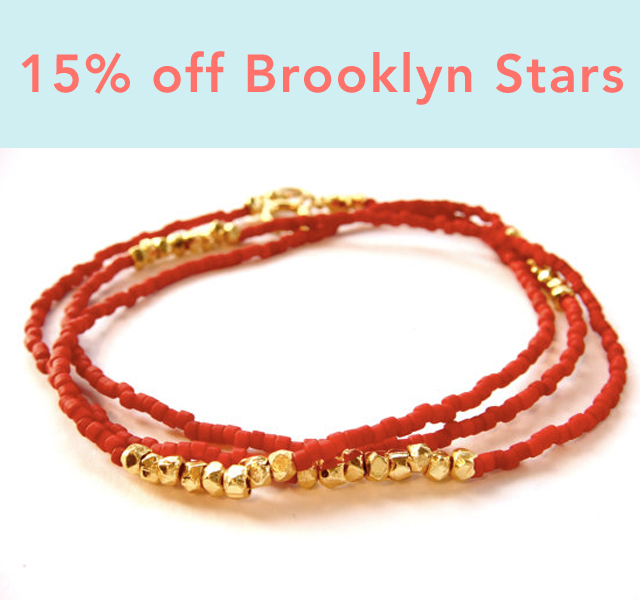 Secondly, after seeing their bracelet on the "Get Ashley's Look" portion of yesterday's post, Brooklyn Stars has decided to give Hello Lately readers a discount on all items in their Etsy store.